Doug Simpson is a retired high school teacher who has turned his talents to writing. His first novel, a spiritual mystery titled Soul Awakening, was published in the United States in October of 2011, by Booklocker. 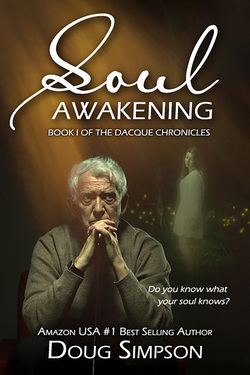 It was reissued in October of 2012 by 5 Prince Publishing as Soul Awakening, Book I of the Dacque Chronicles. For further details visit them at http://5princebooks.com/. It is available in print and eBook format through most bookstores around the world. 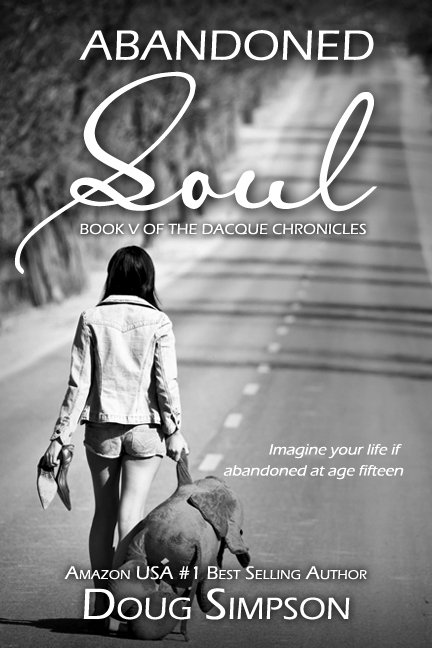 Soul Rescue, Book II of the Dacque Chronicles was published in November of 2012, Soul Mind, Book III of the Dacque Chronicles was published in January of 2013, and Soul Connections, Book IV of the Dacque Chronicles was published in April of 2013. Doug’s first non-fiction book, titled The Soul of Jesus, was published by 5 Prince Publishing in February of 2014. 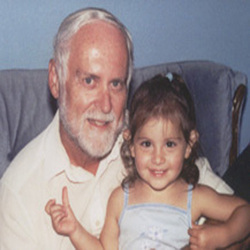 His magazine and website articles have been published from 2010 to the present in Australia, Canada, France, India, South Africa, the United Kingdom, and the United States. His articles can be accessed through his website at http://dousimp.mnsi.net. The century-old farm house that caught Vic’s attention was on a large lot on the outskirts of Cattleton. 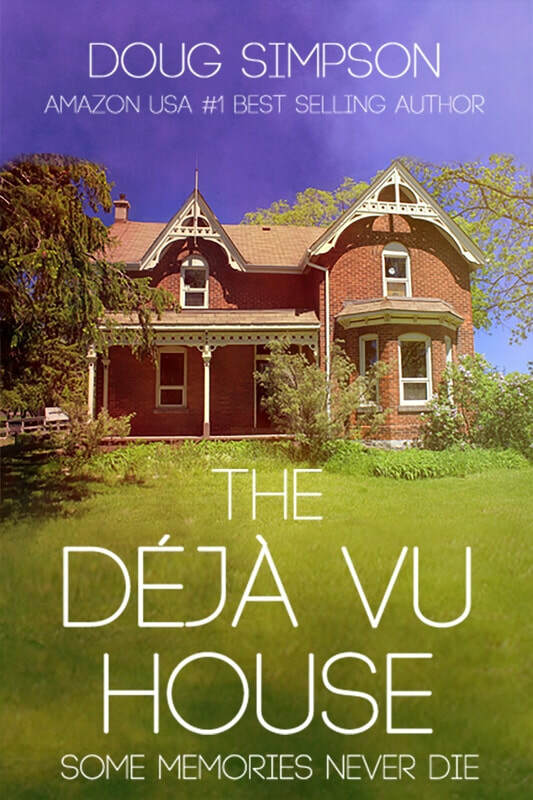 Pam stood mesmerized next to the car as Vic and the real estate agent walked towards the front door. Noticing Pam’s absence before they entered the house, Vic asked Pam if there was a problem. Are you aware of your past lifetimes in the lost continent of Atlantis? Some people are. If you happen to be unfamiliar with the name, Edgar Cayce, the most probable reason is that you hail from a younger generation. Edgar Cayce, the legendary American mystic, is regarded by many as America’s Nostradamus. Edgar passed on in 1945 but he left behind an enormous legacy of unimaginably accurate psychic readings on an unusually diverse assortment of topics. It is estimated that Edgar gave more than 15,000 psychic readings in his lifetime but in the earlier years, the copies of his readings, primarily medical readings, were not retained, and the only record of the reading was one given or sent to the individual requesting the reading. Today, Edgar’s Association for Research and Enlightenment is still a thriving, charitable foundation in Virginia Beach, Virginia, where members (membership is definitely not expensive) can view copies of over 14,000 complete Edgar Cayce psychic readings. Approximately 10,000 of these readings are medical readings, about 2500 are classified as life or reincarnation readings, and the remainder of the readings cover topics as diverse as domestic relations, the stock market and real estate investment, creation, the life and times of Jesus and those close to Him, as well as numerous other subjects. Well over 300 books, including over 30 biographies have been written using Edgar’s amazing readings. I have researched the Edgar Cayce readings for many years, in particular the 2500 life or reincarnation readings for 2000 individuals. Over 600 of these life readings included incarnations from the lost continent of Atlantis. 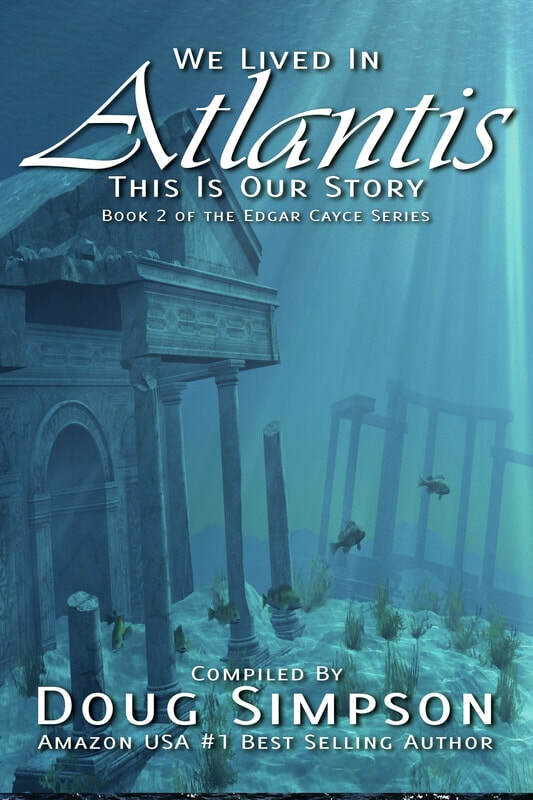 I have organized just over 500 of these Atlantis-related readings in a basically - although not entirely - chronological order so as to present a partial history of Atlantis. I have identified these 500 recipients using the information provided at the beginning of each Edgar Cayce reading, which includes date of birth, place of birth, current location, occupation, and religious affiliation in some cases. Actual names are not revealed. Yes, over 600 people know about their past lifetimes in Atlantis. Are you curious? Soul Awakening is a spiritual mystery/romance story involving the discovery of reincarnation and the past lifetimes of a group of individuals. It is a work of fiction, but was inspired by a series of actual events that were experienced by the author or other individuals known to the author. It involves the apparently accidental, though actually orchestrated by Divine Intervention, meeting of three total strangers, and their ultimate discovery that they shared previous lifetimes together. It includes episodes of spirit communication, messages from God, past-life regression sessions, Guardian Angels, past-life recall in the awake state, and Soul Attraction, which is the reincarnation of groups of souls together, in more than one lifetime, in order to deal with uncompleted Karmic connections from previous lifetimes together. Dacque LaRose, the protagonist in the Dacque Chronicles, is a very unusual Good Samaritan who has been selected by the Heavenly Powers to assist Them in rescuing deserving souls in need of rescuing, no matter whether these souls still reside in human bodies or have departed from their human residences when their body passed away. Dacque’s soul has earned this exalted position as God’s helper through his exemplary actions and clean living throughout his numerous previous incarnations, as well as his current lifetime. To assist Dacque in carrying out these noble duties he has been bestowed with unique powers in this lifetime, powers which allow him to see and converse with spirits as well as receive direct messages from the Heavenly Powers. Soul Rescue is the recounting of Dacque’s latest adventure where he is directed to the local children’s hospital to locate and assist the earth-bound spirits of five children stranded for many decades. 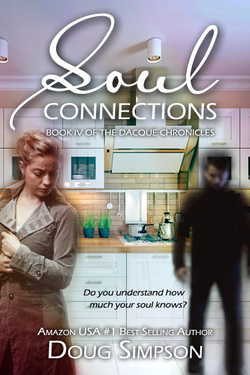 Dacque is rewarded with three touching personal relationships throughout this adventure and a totally unanticipated surprise at the conclusion of his Heavenly assignment. 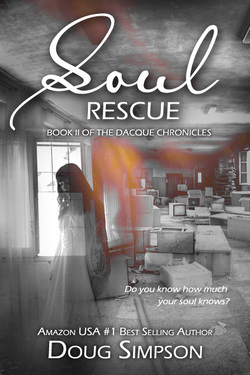 Soul Rescue, Book II of the Dacque Chronicles, is a fictional novel inspired by a series of actual events. Dacque LaRose, a genuine good-guy and Good Samaritan, was accustomed to being visited by and communicating with disembodied spirits as he carried out his occasional assignments received from the Heavenly Powers. His latest spirit visit went miles beyond anything he would have ever imagined. The spirit of a former acquaintance and recent murder victim joined Dacque one morning on his favorite park bench and asked him to assist in solving his murder as the local authorities were getting nowhere, through no fault of their own but due to a lack of any substantial evidence in the case. Dacque had absolutely no idea how he could be of assistance in solving a murder, but he was accustomed to receiving his Heavenly assignments one installment at a time so he knew the steps he would be expected to follow would appear in due course. 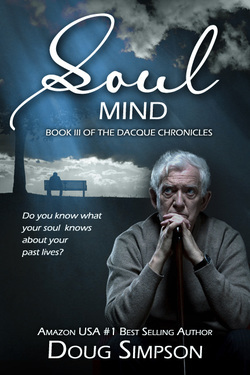 Dacque’s new assignment proved exciting and educational as the spirit of the murdered acquaintance gladly explained to Dacque and his detective friend the inner workings of the Soul Mind or subconscious mind. As part of His preparations for the long-prophesied birth of our Savior, God selected a devout group of primarily Jewish Essenes to oversee this monumental undertaking. The Soul of Jesus delves into numerous details surrounding these readily-available but little-known preparations which preceded the birth of Jesus, and then carries on to share delightful snippets concerning the birth and life of Jesus before the commencing of His Ministry, Jesus’ Healings and other Miracles, His Apostles, relatives, friends and the group of seventy disciples, the Crucifixion and Resurrection, His activities after the Resurrection, and Jesus’ Ascension, that are not recorded in the Scriptures. The surprises do not stop there. The Soul of Jesus saves the block-buster news until the very end – the soul of Jesus had a number of historical incarnations before its final incarnation, commencing many centuries back in time as the soul of Adam in the Garden of Eden. ​She was abandoned by her father at age seven. The child care workers seized her at age fifteen when her mother ran afoul of the law. Her first two foster care placements were terminated after sexual harassment incidents. On a spur-of-the-moment whim, she and her foster care buddy hid in the back of an almost loaded moving van. Six hours later, still fifteen years old, she was a runaway, homeless street person in a city she never even knew the name of. Soup Kitchens and Downtown Missions became her new homes. She used the alias, Mary Smith so the authorities would be less likely to find out her real identity and return her back north where she hailed from. As the weather turned colder, she and her buddy hitchhiked further south. She never knew why but her buddy, her only real friend, then disappeared from her life. She was sixteen and alone. Her life consisted of surviving one day at a time. There was no use even thinking about a future, but then a miracle happened.